This Dixon B3114MP series concentric reducer sanitary fitting is made of stainless steel 304 and clamps to tubing on both ends. This concentric reducer fitting clamps to two pipes or tubes of different diameters that are along the same pipe axis, providing a non-permanent seal with take-down access. 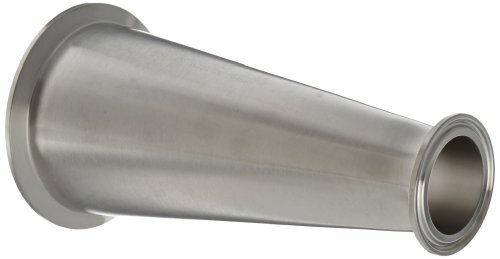 It is made of stainless steel 304 for resistance to corrosion and high temperatures and has a maximum operating pressure rating of 250 pounds per square inch (psi) at 70 degrees F ambient temperature. 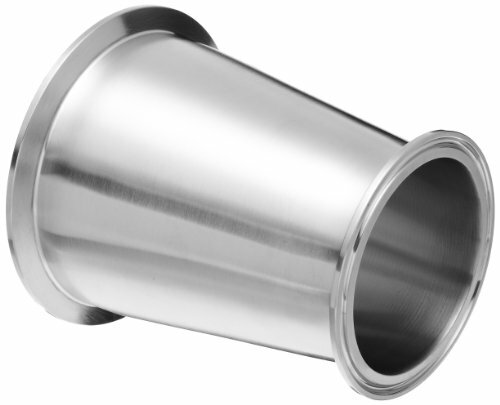 This concentric reducer sanitary fitting meets 3-A Sanitary Standards Number 63-03 for sanitary fittings (authorization number 621) and is suitable for use in food, beverage, and dairy applications. 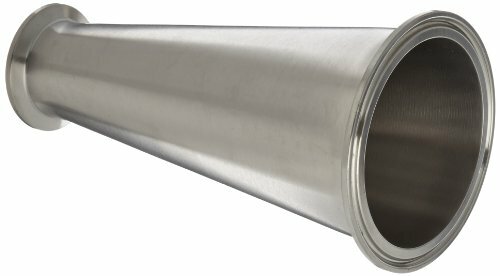 Pipe and tube fittings are components used for connecting, terminating, controlling flow, and changing the direction of piping in many different industries. 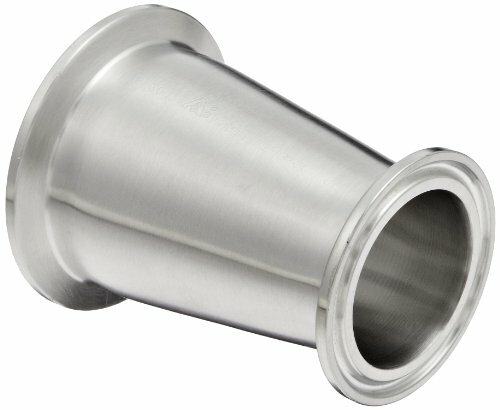 Sanitary fittings are used in the food, beverage, biotech, pharmaceutical, and other sanitary process industries to transport fluids through pipe lines and are available in a range of materials, finishes and shapes. When purchasing fittings, consider the application, as this will affect material type, shape, size, and required durability. Fittings are available threaded or unthreaded, in many shapes, styles, sizes, and schedules (pipe wall thickness).